To make matters more complicated, the vendor of the development tool being used by the USA Software team made it clear that they were not going to go in this new direction and support the .NET environment that Crystal Reports would need. Instead, the development tool brand announced that they were creating their own reporting solution. Started in 1989, USA Software specializes in software for law enforcement agencies. With customers located across the southeastern U.S., the team takes pride in helping these agencies manage their information systems and improve communications. After wrapping up this complicated project, Woody and his team began working on a new version of their signature software. They knew the time was right to develop a web application for their law enforcement customers who had mentioned how great it would be to bring up reports on their phone. Knowing the multitude of Crystal Reports that were saved in their existing Windows application, Woody’s challenge was to make them available in the new mobile dashboard. "We only had to change 3 lines of code"
It was during this time that Woody heard about Mertech’s new product called Flex2Crystal. He was already using our Flex2SQL product in order to get his application to run with a Microsoft SQL database, and since he had such a positive experience, he decided to test Flex2Crystal. At this stage in the project, it was taking USA Software longer than anticipated to put the new web application together partly because of how Crystal Reports was connecting to the SQL database directly. The Mertech team provided them with a sample procedure code that would help them communicate with the SQL database a bit differently than the way they were doing it. 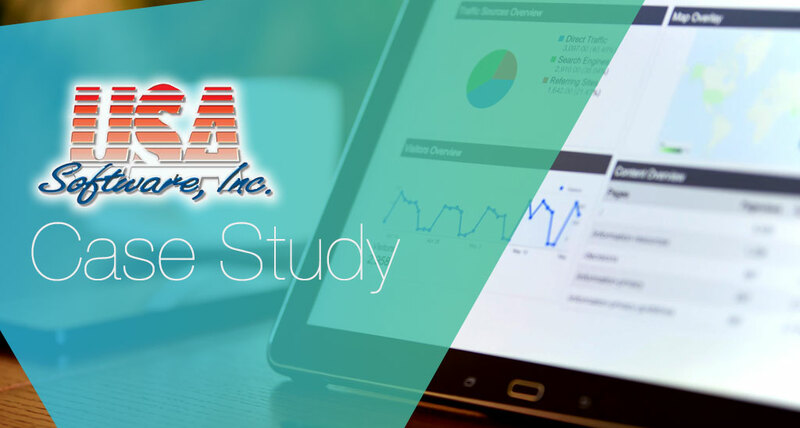 "When I had the idea of us developing our mobile dashboard, I knew it had to work for our existing customers, and work with SQL Server, and I wanted to make sure that Crystal Reports were a part of that package. I wanted our law enforcement customers to be able to access information from anywhere, at any time, and be able to act on it, or have an informed conversation about it,” explains Woody. "If you have a ton of reports, there's no need to reinvent the wheel. I recommend Flex2Crystal because the tool did exactly what Mertech said it would do, and the single biggest thing is that it just works. We didn't need to retool anything, just update 3 lines of code." See how easy it is to integrate the most recent version of Crystal Reports with Visual DataFlex - without changing your code!